Somos+, Roberto Camba, 12 September 2016 — They say it began with the fight to return the young rescued rafter Elian Gonzalez from the United States to Cuba. Really it was much earlier, since the strategy never chnages: silence and ignore the dversary, incessently repeat lies until it was almost impossible to distinguish the truth. To define, to communicate that the assault on the Moncada Barracks was a revolt of sergeants, to publish in Bohemia magazine in January of 1959 that the Revolution was green like the palm trees and had nothing to do with the Soviet Union, or to declare on television that the latest Cubans died clutching the flag with the United States invaded Granada in 1983, are exampled. “Revolution… is never lying,” say the propaganda billboards. By monopolizing all the media immediately after 1959 and creating their own education program, the arsenals of weapons were entirely under their power. The enemy could have ideas, but could never express them publicly. With the Elian Gonzalez case they started the Open Forums and the Roundtable TV shows… all caps. I never understood that these manifestations of the Battle of Ideas transmitted to the Cuban people were just about ensuring their overwhelming support for the Revolution. Wasn’t there a battle? Who was the enemy? Why do you line up the “canons” facing your own soldiers? The speakers at these “Masses” didn’t have to think, they just recited the Revolutionary “creed” from memory. On the Roundtable show the soldiers didn’t have to face the enmey, only their colleagues on the other side of the table. TV Studio during the filming of the Roundtable show. The concept of “Round” itself symbolizes the endless and monotonous. Like in Mark Twain’s novel “A Connecticut Yankee in King Arthur’s Court,” the topics of each day of the week were identical: “The King walks through his circular courtyard.” There is nothing new in a vicious circle. All Communist regimes have curtailed freedom of expression. The only explanation for this is that it is in the ideological arena where they are most vulnerable. Therefore, they continually reject dialogue with the opposition, they refuse to share “the same room” with its representatives during the Americas Summit in Panama, so they hid the people of the “Varela Project” and discussions with Edmundo Garcia were only broadcast in Miami. Ultimately, former vicepresident Ricardo Alarcon ends up looking ridiculous talking to Eliecer Avila, then a student, as do the Castros at press conferences. They find having interlocutors uncomfortable. They learned monologues, not dialogues. They arm the “fighters” of the Rapid Response Brigades for an act of repudiation against the Ladies in White. They shout a lot so they don’t have to hear the voices of these brave women. If there are not enough people they bring an orchestra, they set up a “Street Fair” with screaming kids or hold a “Carnival.” If the Ladies in White continue to express their ideas they force them into a bus and take them away. The “Battle of Ideas” is a paradox. There is no “battle.” They only fight when they have previously “killed” the enemy. The other army is not allowed to shoot. Only then they can win the battle. 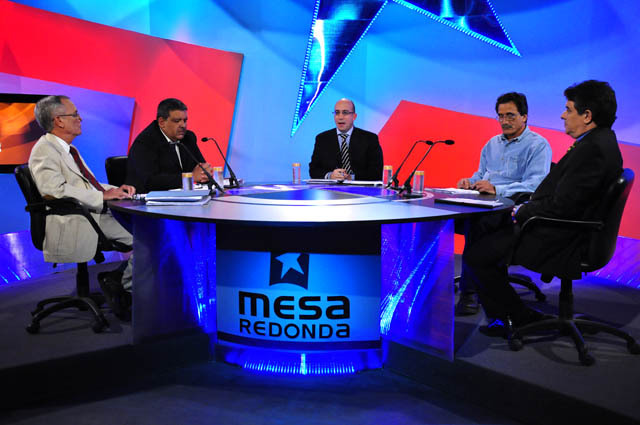 In the Cuban Constitution there is only freedom of speech and of the press as long as they “conform to the aims of socialist society” (Article 53), which is another way of creating the crime of “enemy propaganda” (Article 103 Penal Code). The “Battle …” has now moved to the digital arena. The “soldiers” of the University of Computer Sciences and State Security must comment on the articles of the official media, and of those refugee challengers in the only place that the state can not fully control: the internet. 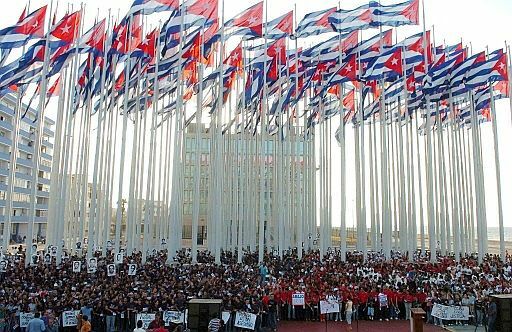 Compare the comments on the articles in the official sites such as “Granma” or “Cubadebate” with those of the independent sites such as “14ymedio” or “CubaNet.” In the articles themselves, it seems they are speaking of different countries. Censorship makes the difference. The “soldiers” don’t get medals, they get toiletries and free internet access. In the land of those with nothing, nothing is an incentive. The idea is not even new. Putin learned it in the KGB and used it extensively as revealed by the newspaper The Guardian. The difference is that Putin pays his trolls better. Like any war strategy, it has a weak point. The “soldiers” — allowed to surf the internet to promote the Revolution — are exposed to the enemy’s “weapons.” Eventually they will contrast these ideas with those they’ve been inculcated with and with the reality they experience. And they will learn the truth … and the truth will set them free.